R.J. Valentine, in his Champion GTR3 car, demonstrates how to optimize protection with Triple-Deep ISS ProLink Barriers. EDITOR’S NOTE: This is part two of a two-part series of editorial columns on safer racing penned by former racer and safety advocate R.J. Valentine. Part one was released through Race Chaser Media on Wednesday evening and is available here. Over the years it became apparent to me that there simply weren’t many acceptable alternatives on the barrier market. Impact Safety Systems (ISS), headquartered in Braintree, Mass., developed a barrier solution originally designed and tested for karting, known as Kart Impact Safety System (or KISS) Barriers. Once its efficacy was confirmed in karting tests, a second barrier system was created for motorsports based on a similar structure, designated ‘ProLink Barriers’. There were six key criteria that had to be met when engineering this barrier technology: reduce injuries and damage; save time and labor; increase versatility and coverage; decrease replacement costs; lower expenses and generate revenue; and improve presentation. 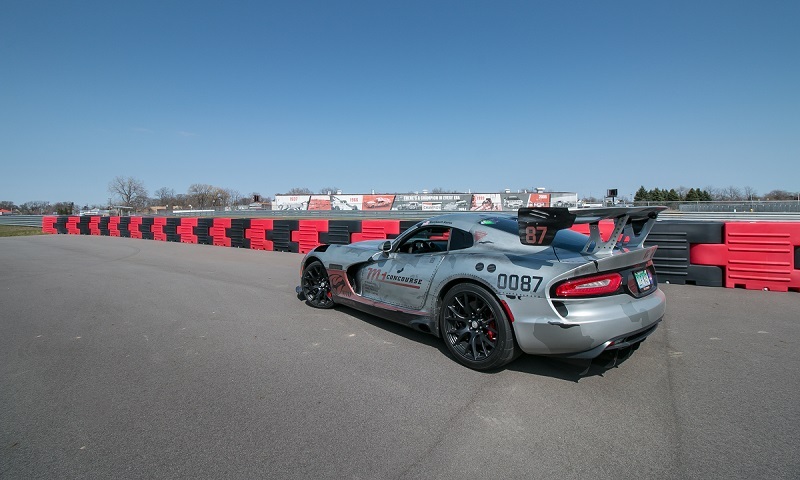 To date, ProLink’s performance has exceeded all expectations at tracks nationwide, including The Thermal Club, Thompson Speedway Motorsports Park, Inde Motorsports Ranch, New Jersey Motorsports Park, M1 Concourse, BMW Performance Center, and others. Feedback from tracks that replaced tires with ProLink to buffer rigid concrete walls or Armco guardrails confirms that this extra layer of safety makes a difference. Circuits with ProLink reported high-speed hits resulting in minimal barrier deformation, very little damage to vehicles and, most importantly, drivers who walked away unharmed. Because ProLink yields on impact, progressively retarding speed with the cumulative pull of connected barriers and cushioning shock, there’s less likelihood of blunt force trauma to drivers or severe damage to vehicles. Buffering with ProLink keeps racers from reaching that final point of impact. Tracks also regularly comment on ProLink’s ease of deployment, cost-efficiency and rugged durability, even after years of abuse. However, before ISS will sell barriers to anyone, an extensive analysis is done to ensure it’s the right solution for each track, as well as to optimize installation for maximum protection at a minimum investment. Every track is unique and there’s no one solution that fits all. The biggest issue is that most tracks aren’t even aware that better and potentially more affordable barrier alternatives exist, let alone how they compare and, most importantly, how much they could increase safety standards. Because a centralized source for barrier information didn’t exist, in 2017 ISS took the initiative and hired an outside firm to research and aggregate the vast, complex data available into one consolidated resource for the reference and benefit of race tracks and drivers. The project took almost a year to complete, but the result was a comprehensive and unbiased as possible overview of the primary barrier options. The 2017 Energy Absorption Barrier Comparison Report and Chart can be found here: http://www.impactsafetybarriers.com/competitive-analysis.php. An updated version with additional barrier manufacturers and new data will be available in late 2018.